Piracetam has several benefits, but one should know that it also has potential side effects. The most common ones are headache, irritability, brain fog and lethargy. Although most users tolerate it, these side effects can certainly cause annoyance. This article will inform you about the common side effects and interactions that occur in around 10% of users. Note that this will not cover serious ones, such as rare allergic reactions. Here is a list of these negative effects – ranked from the most common to the least. 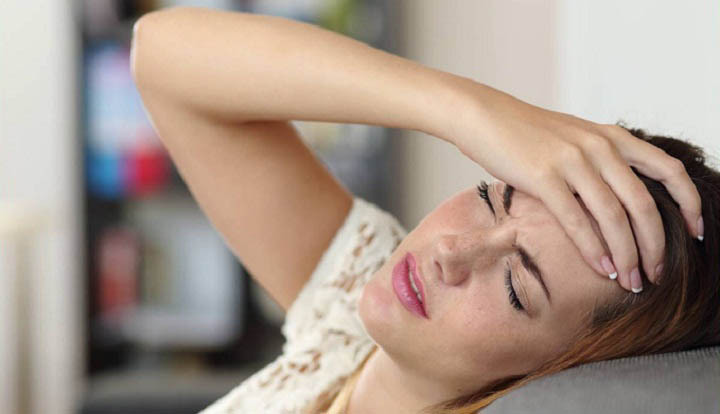 Headache is one of the most common side effects. It’s most likely due to the reduced amount of choline in your brain. Your decision to take cholinergic substances may also increase your demand for choline. This also causes the reduction of the amount of choline in some parts of your brain. Such deficiency can trigger migraine headaches. Irritability is another common side effect. It appears as if racetams can cause irritability in a select group of people. This may be a result of its indirect interactions with other neurotransmitter systems – namely dopamine and serotonin. If irritability becomes a problem, just lower your dosage. You may also decide to switch to another nootropic. Though this side effect is rare, some users report experiencing extreme sleepiness or lethargy. It is unclear why some experience this while others don’t. However, it is certainly an undesirable effect from a nootropic. If you experience lethargy, it’s advisable to switch to another nootropic. Your options include adrafinil or phenylpiracetam. This side effect often comes with short-term memory problems, loss of motivation, de-personalization, confusion and fatigue. Brain fog is certainly a paradoxical reaction in a rare select group of people. A negative interaction with the dopamine or serotonin neurotransmitter systems can cause it. Piracetam influences multiple neurotransmitters and receptors either directly or indirectly. Although many report a reduction in anxiety with this supplement, others also experience this paradoxical reaction. Anxiety and nervousness are rare side effects. However, you should avoid ruling out their risk. If you experience this, it’s best to reduce your dose or stop the use of the supplement completely. Reduced amount of dopamine, norepinephrine and monoamines caused by increased cholinergic activity can trigger brain fog and other related issues. One way to solve this is to reduce the amount of cholinergic activity. This is possible by lowering or eliminating the supplement dose. GI discomfort is a fairly common side effect. The GI discomfort is likely due to the solvents remaining in the finished product. While it removes most solvents, a tiny portion remains. This causes discomfort in sensitive stomachs. If you have a sensitive stomach and prone to GI issues, consider testing a small dose first. Piracetam may intensify the effects of alcohol. This is likely due to increased cerebral blood flow observed in the supplement. Avoid combining the two because it increases the risk of experiencing negative side effects. Piracetam has anti-clotting effects. This makes it harmful when you combine it with a blood thinner medication prescribed by your doctor. The interaction can actually cause tissue damage and excessive bleeding.